Afghan girls need a stronger skill set to enter the workforce, and pursue higher education. Afghan girls lack the educational opportunities that boys have, and are greatly disadvantaged as a result of this difference. 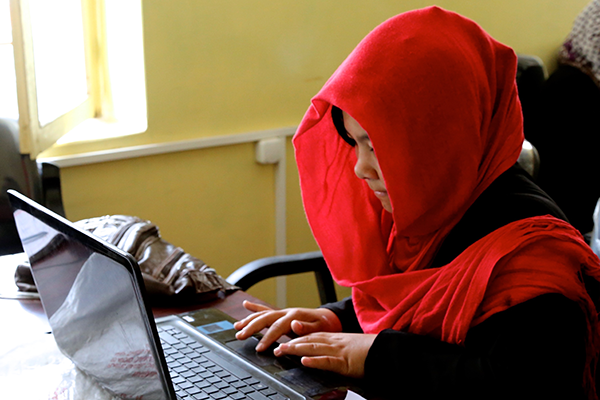 A resourceful female principal of a Afghan public girls’ high school asked Sahar to build a computer center so her students would be able to take advantage of job opportunities after graduation that require computer skills — or to prepare to go to university. The computer center will provide the means for the school to offer vocational training, and a stronger education through access to the internet. If girls have vocational skills, they can enter the workforce and be independent. A higher earning potential, and higher education for girls will increase their status in society. Afghanistan has long held the title of being one of the worst places on earth to be a woman. We can fix this through education. A well-equipped and functioning school provides a healthy and safe environment for a community’s children, and a place where they learn the skills they need to become productive and peaceful adults. Many school buildings have been constructed in Afghanistan in recent years. But a building alone does not make a school. To be successful, it must be supplied, have qualified teachers, be fully supported by its community, and become fully sustained by its community. That’s our long-term goal.